So you know how we’re broke? Well, we are doing our best to have fun with it and also be smart. So today I started hawking stuff on craig’s list. Anyone want a really cute table with drop leaf sides and 2 chairs? And while on a walk this morning, I ran across a sock in the road that Caleb lost on Wednesday’s walk. I picked it up and carried it home in order to wash it and put it back in his drawer so he can wear it again. 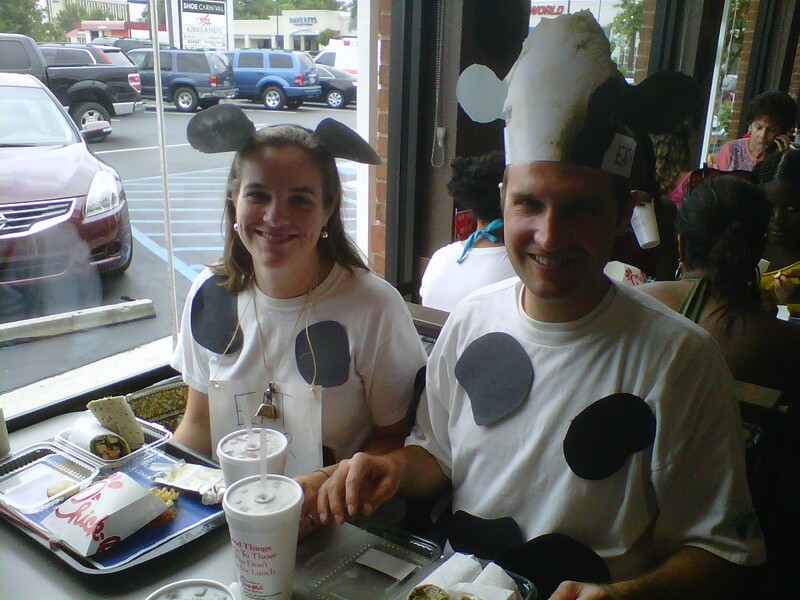 And we also planned not one, not two, but THREE trips to three different Chick-Fil-As for Cow Appreciation Day. Breakfast was a hot date with just me and Russ. We were the first “cows” of the day and the only ones the whole time we were there. I looked around at the people paying for their food and thought “SUCKAS”….but then they were probably thinking the same thing about us. For lunch, we met Grammy so she didn’t have to go by herself (Pops is NO fun). 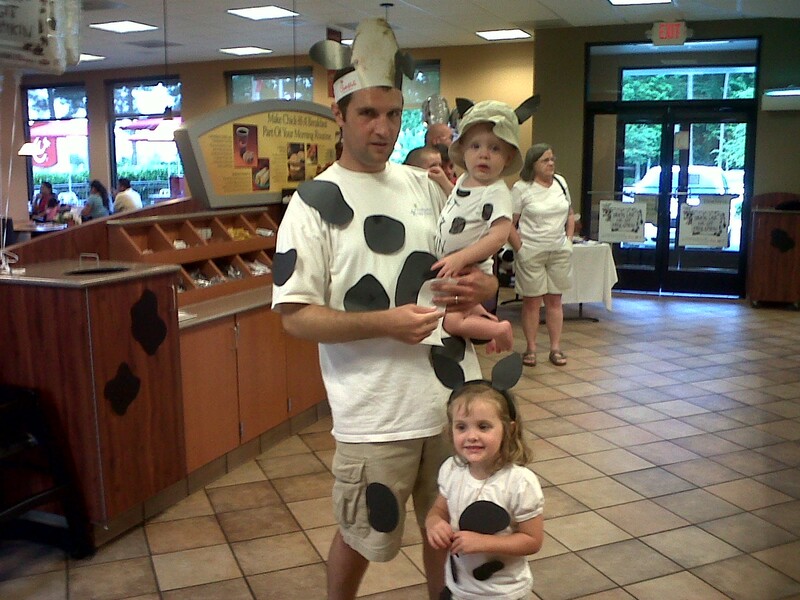 Then for dinner, we dressed up the whole family. Taylor was pretty excited. 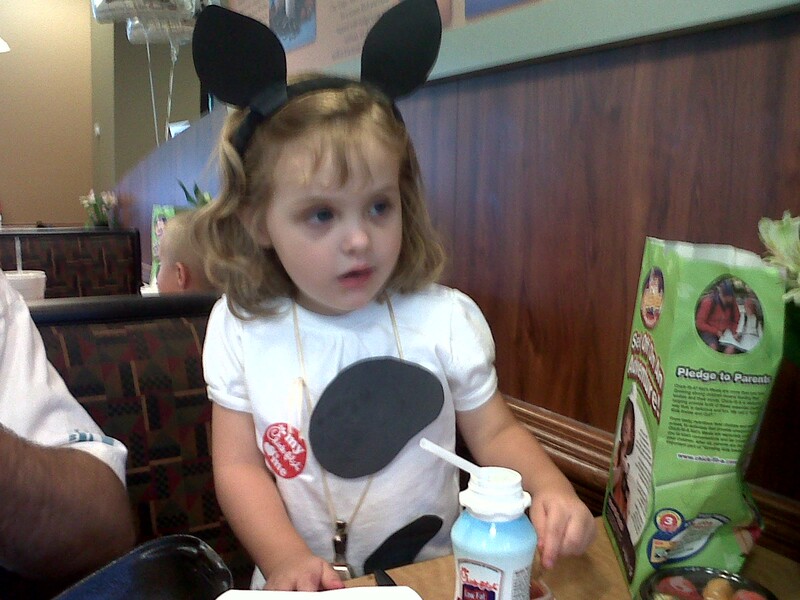 And THE chick-fil-a cow was there. 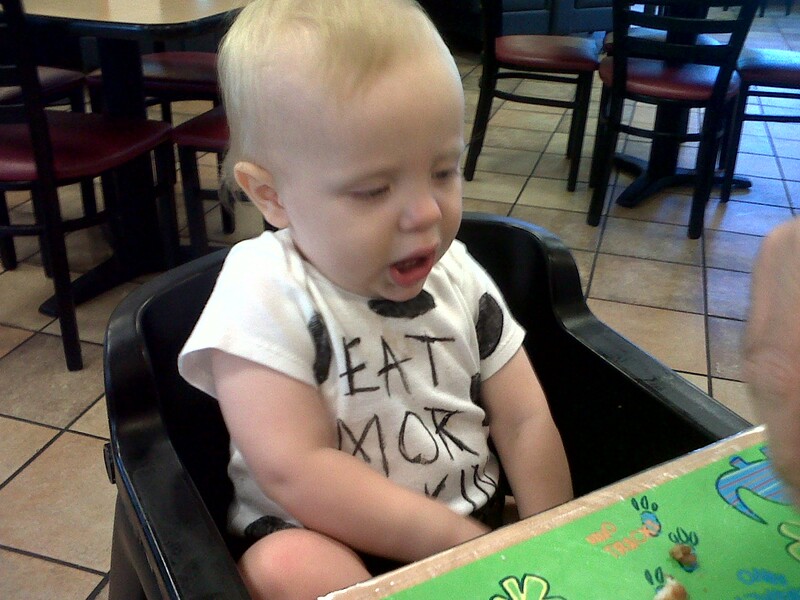 Caleb wouldn’t stop pointing at him – he was mesmerized and even got to practice saying “cow” and mooing. Taylor on the other hand was terrified. Go figure. I didn’t think it was possible, but I am Chick-Fil-Aed out…even with the different menu choices. It’ll probably be a long while a few weeks a week at least before we go back. And I did save the spots and ears for next year.